Despite the dearth of firsthand details about the royal marriage, Gill does an excellent job building an entertaining, informative narrative with what sources she has. For instance, after discussing the early death of Victoria’s father and her Big Brother-like childhood, Gill makes an important observation: “As girl and woman, the Queen was always in search of a father surrogate to guide and protect her.’’ Even after Albert’s untimely death, Victoria would turn to another male protector, John Brown. Gill also makes a strong case that Albert, as the less powerful partner, felt the constant need to show his worth. Intimately involved with raising the couple’s nine children, more even than his wife, Albert was also deeply engaged in government business. Gill describes how Albert clashed with Britain’s powerful foreign minister, Lord Palmerston, in a failed attempt to turn British foreign policy toward alliances with Germany and Russia. In the end, Albert became a workaholic who died young trying to prove his mettle. The crucial question for this unique marriage was the same question many marriages face, Gill notes: “Who would have the upper hand,’’ wear the pants? Victoria, explains Gill, “intended to have her Albert and her own way,’’ retaining her independence and power. 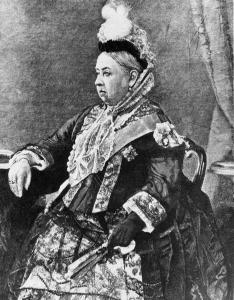 “Albert,’’ the author notes, “planned to take the reins of power from Victoria once they were married. He would leave her queen only in name.’’ Something had to give. Gill makes it clear that Albert won most of the marital battles, but that Victoria won the war. “She took possession of the prince in death as he had taken possession of her in life.’’ The queen idealized her late husband, another massive challenge for biographers. Gill’s surprisingly refreshing account exposes the profound falsity of the Victorian-era ideal of a powerful paterfamilias sheltering his defenseless wife against the cruel, brutal world. Victoria was always the stronger of the two and, Gill shows us, poor Albert worked himself to death trying to prove otherwise. Chuck Leddy is a freelance writer who lives in Dorchester.